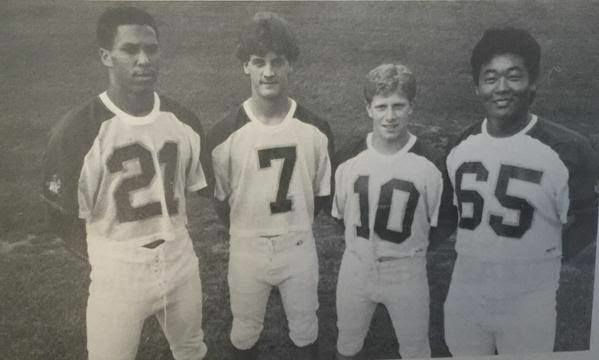 The gathering on that night in 1997 included members of the high school’s storied 1985 championship football team, including a standout wide receiver/defensive back named Cory Booker who had recently graduated from Yale Law School. Michael Zaccone spotted his former teammate and playfully alluded to his newly-attained Ivy League pedigree. “I said, ‘what are you going to do — go to a big law firm and make a quarter-million dollars?’” recalled Zaccone. No, Booker replied. He would not be taking a lucrative corporate job. He was moving to Newark, about 25 miles from his hometown of Harrington Park, and planning to run for City Council. “Obviously I was surprised. He was very matter-of-fact about it. And he was serious,” Zaccone said. Booker’s unorthodox career move — he was elected to the city council in 1998, eight years before becoming Newark’s mayor — set in motion his rise to national prominence. 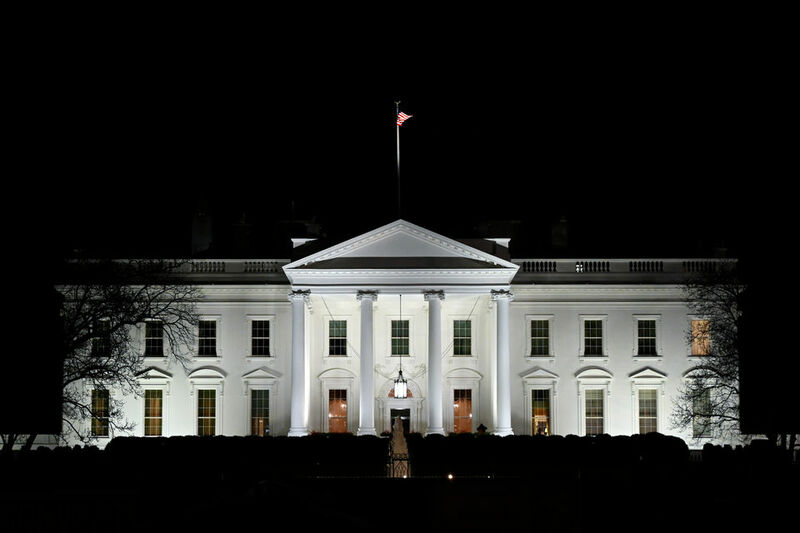 It has culminated, more than two decades later, in his long-expected announcement Friday that the Democrat is running for president in 2020. It is a high-flying arc that Flo Muller, one of his high school teachers, said she envisioned for him more than three decades ago. “It’s what I always say about him. When he was in high school, I thought he’d be the first black president,” Muller said. A U.S. senator since 2013, Booker is closely identified with Newark, where he continues to live. Less well known is that he spent his entire childhood living in Harrington Park, a mostly white suburban town in Bergen County. Today, Harrington Park has about 4,800 residents while Newark, the state’s largest city, is home to 285,000. In Newark, 49 percent of residents are black and 10 percent are white, according to the most recent data from the U.S. Census. In Harrington Park, 71 percent of residents are white and one percent are black. Harrington Park is much wealthier — the median household income, $127,188, is more than three times greater than that in Newark — and favors Republicans. Former President Barack Obama, a Democrat, received fewer votes in Harrington Park than his Republican opponents, the late Sen. John McCain in 2008 and Sen. Mitt Romney in 2012. It is a different world in many ways, yet it shaped the future of the most prominent mayor Newark has ever had. 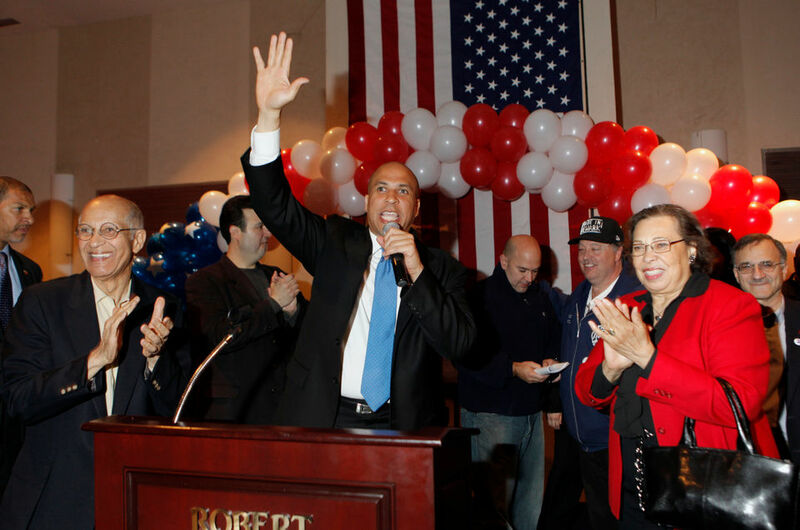 “In so many ways, I am who I am because of Harrington Park and Old Tappan, Northern Valley Regional High School,” Booker said at a campaign event in his hometown in 2013, four days before winning his Senate seat. 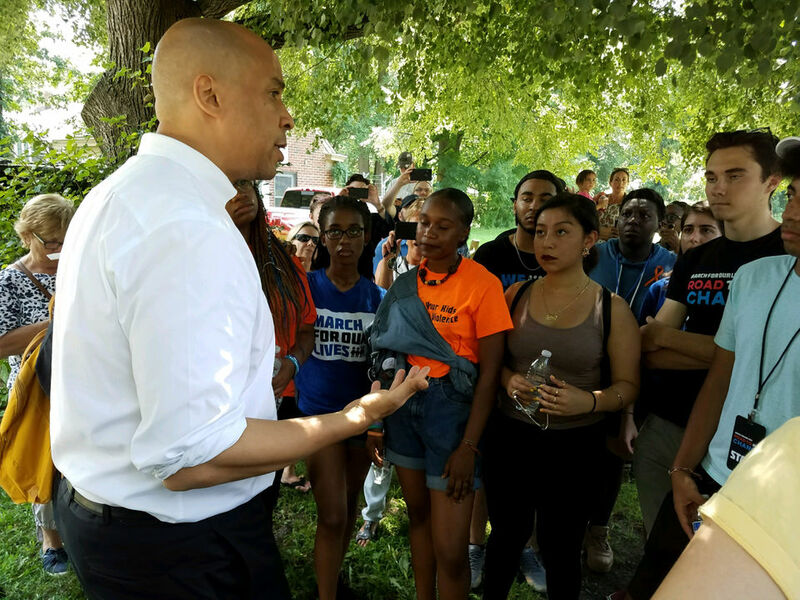 “This is the best piece of America to grow up in … From the time that I was a little kid, this is the community that embraced me and my family,” Booker said. “This will always, always, always, be home,” he said. Booker’s parents, Carolyn and Cary Booker, moved to Harrington Park in 1969, the same year he was born in Washington, D.C., and two years after the birth of his older brother, Cary. His father was a North Carolina native and both of his parents were executives at IBM. Booker told the New York Times in 2007 that his family “integrated the neighborhood” after encountering resistance. “The real estate agent said the house had been sold, which it hadn’t. They confronted him. There was actually a melee,” Booker told the newspaper. It is a story that Booker shares in his presidential announcement video. “When I was a baby my parents tried to move us into a neighborhood with great public schools, but realtors wouldn’t sell us a home because of the color of our skin,” Booker says in the video. He does not mention Harrington Park, but a childhood photo of Booker on a youth sports team is displayed in which all of the other children with him are white. “A group of white lawyers who had watched the courage of civil rights activists were inspired to help black families in their own community, including mine. And they changed the course of my entire life,” Booker says. In his 2007 interview, Booker told the New York Times that despite the initial problems, his family quickly felt at home in Harrington Park. “My father used to joke we were like the four raisins living in a tub of vanilla ice cream. But despite the trouble we had getting in, it turned out to be a very supportive community,” Booker said. For their first eight years in Harrington Park, the Bookers lived in a four-bedroom home on Norma Road. In 1977, they moved to a three-story converted barn with a sauna on Parkhill Road, where Cory Booker resided until enrolling at Stanford University in the fall of 1987. Zaccone, a police detective in Wayne, spoke fondly of the meals he used to enjoy when visiting the Bookers. “His father made the best barbecue ribs I ever had. Unbelievable,” he said. Booker’s parents later moved to Las Vegas. His father died in 2013 at age 76, just days before his younger son defeated Steve Lonegan in a special election to replace the late Sen. Frank Lautenberg. Three weeks later, Booker was sworn into the Senate. His mother was among those present for the ceremony. Booker attended elementary school in Harrington Park and enrolled in Northern Valley Regional High School, in neighboring Old Tappan, in 1983. He played wide receiver and defensive back on the football team and, following the 1985 championship season, was one of four co-captains during his senior year. Northvale Police Chief William Essmann was the team captain during Booker’s junior year. “The running joke was he played football with us. We didn’t play football with him,” Essmann said, playing off the many questions asked over the years about his famous teammate. Asked for an example, Essmann recalled a game when the other team had scored a touchdown and a defensive lineman laid down on the ground, a little too long for the captain’s liking. Essmann said he grabbed him by the shoulder pads and spoke to him, a little roughly. Then Booker got involved, though the code on the team was to defer to the seniors. By his junior year, Booker was drawing interest from college football scouts. His classes that year included a course in British literature taught by Muller. “He was wonderful to have in class. He was such a good boy. Very likable,” said Muller, a Ridgefield Park resident. “I’m not surprised to see how far he’s come,” she added. For her first assignment, Muller had students read “The Verger,” a short story from 1929 by British novelist and playwright Willam Somerset Maugham built around irony. Afterward, she asked them to craft an essay on an example of irony in their own lives. “Cory wrote about his parents always telling him he had to work hard to get into college,” she said, adding that the ironic element in his essay was that his football skills, rather than academic accomplishments, were drawing notice from colleges. Booker ended up accepting a football scholarship to Stanford University in California. Muller, who retired in 2003, said Booker did not forget his alma mater, occasionally visiting even while launching his political career in Newark. In 2013, with Booker running for Senate, Muller went to a town hall-style campaign event in Edgewater with her grandson. 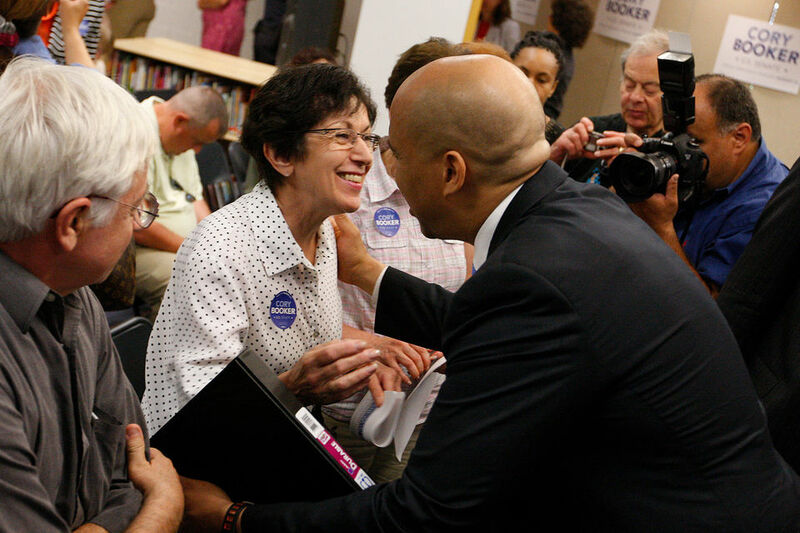 A photo shows Booker moving in to embrace his former teacher, who was wearing a Booker campaign button and describes herself as a Democrat. “Of course I’d vote for him,” Muller said about supporting Booker for president. In August 2008, two years after becoming mayor, Booker attended a student leadership forum at Parsippany High School. The invitation was extended by the school’s principal, Bert Ammerman, who two decades earlier had been Booker’s head football coach at Northern Valley Regional High School. “They just went wild,” Ammerman said, recalling the reaction Booker got from the 200 or so students. On the last weekend of his Senate campaign in 2013, Booker held a “Run With Cory”event in Harrington Park. During the abbreviated, three-month battle to succeed Lautenberg, Booker hosted about a dozen group runs throughout New Jersey. He would run on neighborhood streets with smiling supporters for a mile, sometimes a mile-and-half, sometimes providing ice cream or frozen yogurt at the end. He saved his last run, on Oct. 12, 2013, for his hometown. “We’ve been doing these all over the state, from Atlantic City to Morristown, and the crowds have been getting bigger and bigger. But, I’m almost going to get emotional, because there’s something about coming home to Harrington Park,” Booker said before the start, according to an 11-minute video posted to YouTube. “I’ve lived in this town more than I’ve lived anywhere in my life, including Newark. This was the town where my parents raised me, was the coaches here that helped teach me about what it meant to be a man … It was the mothers from field trips. It was the people on my block,” Booker said, referencing some families who offered him dinner when his parents were not home. “Thank you very much,” Booker responded. In December 2017, Booker’s high school, often referred to simply as Old Tappan, made it to the state championship game. 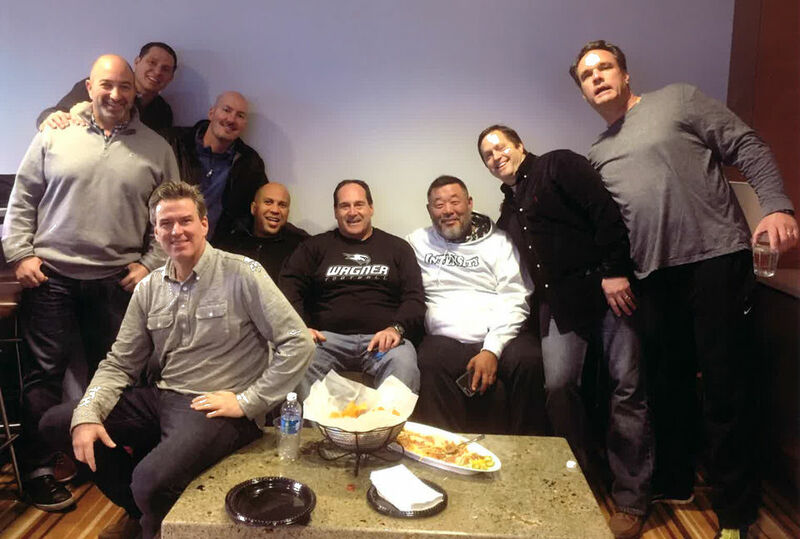 This prompted a reunion of the 1985 championship squad at MetLife Stadium, where Northern Valley Regional High School was playing Mount Olive. By this time, of course, Booker was an established national celebrity and seen as an all-but-inevitable candidate for president. “Obviously he could’ve gone through the VIP gate. (But) he goes through the turnstile,” said Zaccone. A photo from their suite shows Booker smiling with his old friends. Northern Valley Regional defeated Mount Olive, 31-28. Booker most recently gathered with his high school friends in November, at the Old Tappan Golf Club, at a dinner honoring Ed Kohler, a physical education teacher and the athletic trainer on the 1985 squad. Kohler’s now in his 80s. Ron Romano, who retired last year as a teacher and was defensive coordinator, was there. “He flew in from Las Vegas, just to make sure he wouldn’t miss Ed’s dinner,” Romano said. 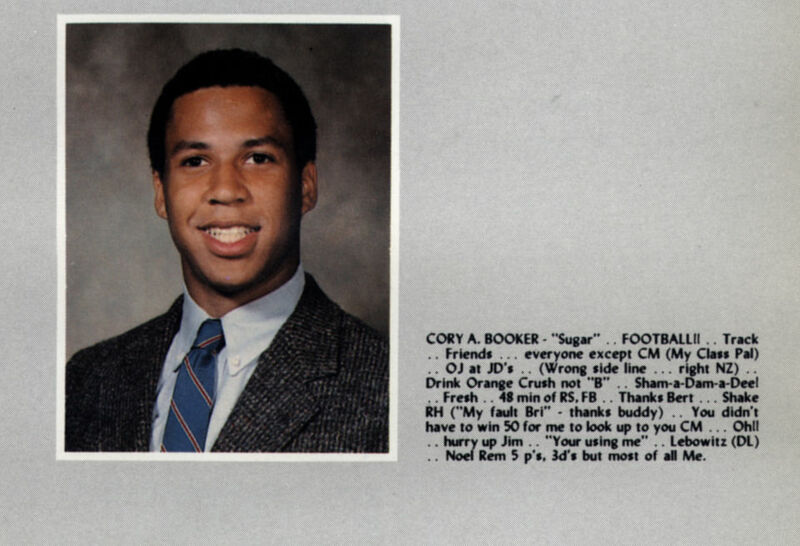 The 9-line inscription under Booker’s 1987 yearbook entry includes a reference — “Thanks Bert” — to Ammerman, the football team’s coach. Booker has stayed close to Ammerman and his wife, Babette, since his high school years. When Booker was sworn in as mayor, Ammerman was present at his invitation. Ammerman went to Washington to watch Booker take his oath of office as a senator. Now, Ammerman said he is hoping to see Booker become president. “Whether he invites me, or not, I’ll be down in D.C.,” Ammerman said. In chatting about Booker with his former players in recent months, Ammerman has marveled at their connection to history. “This is a special moment for so many people, for so many different reasons,” Ammerman said.